Daytime Running Lights are going to kill somebody. DRL’s are intended to make cars more visible in twilight conditions. When active, the taillights and side markers are off. This Civic uses the headlights as DRL’s, which can mislead the driver. About once a week on my evening commute, I see a late model car hurtling down 280 with lights off. Almost always, this is a late model car with daytime running lights. This is super dangerous as these cars are much harder to see without any rear lights on, and flashing your headlights at an SUV with a tiny Miata doesn’t really get noticed all that well. 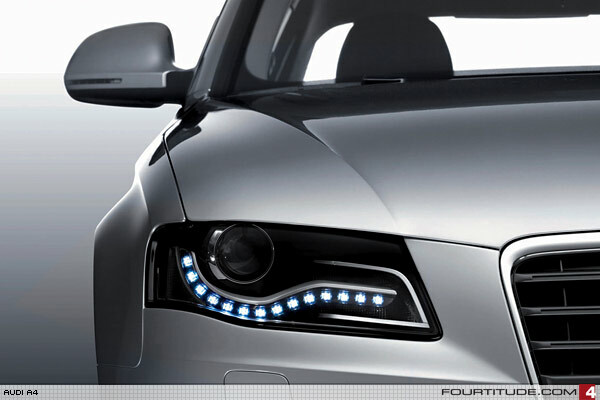 Daytime Running Lights (DRL’s) were introduced in Scandinavia where it is very dark during the winter months. Their goal is to increase visibility to other drivers, but they are not meant to used to adobe acrobat buy illuminate the road. These worked fairly well in Europe and quickly got adopted in Canada, which is similarly afflicted with darkness. European DRL’s are independent units and run at a low brightness. In contrast, Canadian DRL’s can be nothing more than headlights run at reduced intensity. Despite this, they are up to five times brighter than the European standards allow and can fool the driver into thinking their lights are on. Since they are not separate from the headlights, they do a fine job of lighting the road- and can confuse a driver into thinking they’ve turned on all their lights. European laws mandate lower intensity DRL’s which are separate from the headlights. These are much less likely to fool a driver. So we have the fairly bright lights on some cars that can cause glare issues, but more importantly they can introduce driver confusion on whether or not their lights are actually on. This is compounded by the prevalence of always on illumination on gauges. For instance, Acuras and Fords have bright DRL’s on their cars and gauges that are always lit up. It used to be that when your lights were off, you couldn’t see the gauges at night, a useful cue to turn on the lights. Now this cue doesn’t exist and it’s easier to drive without lights on with precious little to remind you that you are practically invisible from behind at night. Modern instrument panels, like Ford’s SmartGauge, are always illuminated regardless of whether or not the exterior lighting is on. I feel that the solution here is to either remove DRL’s from US market automobiles, mandate automatic lighting based on ambient light conditions, or adopt European standards for lighting. My preference is to do this right or not at all- in the meantime, please make sure your lights are on at night! This entry was posted on Friday, January 17th, 2014 at 12:56 am	and is filed under cars. You can follow any comments to this entry through the RSS 2.0 feed. You can leave a comment, or trackback from your own site. DRL are not going to kill anyone. It’s obvious when your lights are on and when they aren’t. They are a safety device, that is useful not only when it is “getting dark in scandinavia”, but also during the day. Hence “DAYLIGHT running lights”. In Italy for example, it became law to have your “sidelights” (as Brits call them) on all the time when you drive on their autostradas (freeways). So DRLs help with that. In any case, just because there are some idiots without lights on, that doesnt mean DRLs are dangerous. The drivers are just… idiots. That’s not true. I see someone every week with their headlights off.